Anosognosia is a condition that affects those with Alzheimer’s disease and is one that is difficult to diagnose. It is defined as being unaware that they have Alzheimer’s disease and affects at least 81 percent of seniors with this form of dementia. It can also impact those who have suffered from a traumatic brain injury. Someone with anosognosia may be in danger because they believe they are still able to do all of the things they used to, like drive and go for walks alone in public. If you are concerned over the thought of your loved one living alone, an elder care provider can be hired to help your loved one. Here is some information to help you better understand this condition and whether or not your parent has it. This condition is one that can be extremely difficult to diagnose, but watching for the following symptoms could give you and their doctor an idea of whether or not your parent has it. If your elderly loved one does not realize they have dementia, it is important to approach the topic with them gently. Instead of telling them that they have this condition, try these tips to help communicate with them much easier. Stay positive. When asking them to complete a task, use a gentle touch and encouraging, empathetic voice. Create a schedule. Make a schedule of tasks that should be completed daily. This should include chores, personal hygiene, and even downtime when you are able to relax. Delegate the tasks. 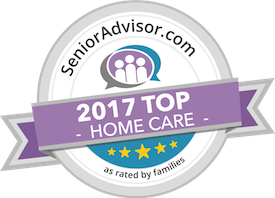 Instead of handling all of the responsibilities alone, an elder care provider can be hired to take care of these tasks. This will allow you to have more time to focus on yourself instead of the millions of things you have to do. Work with them. If the elder is capable of helping with certain tasks, let them. Doing so will give them back some of their independence. Remain calm. There will most likely be some times when you are feeling frustrated or stressed. It is important that these feelings are not taken out on your loved one, as this could cause them to act out. Someone who has dementia and anosognosia should be handled with care. Talk to their doctor for more tips on how to communicate with them. Have questions about elderly care in Oahu, HI? Contact the caring staff at All Care Hawaii today. Call Oahu (808) 206-8409 or Maui (808) 664-3853. Call us 24 hours a day, 7 days a week!